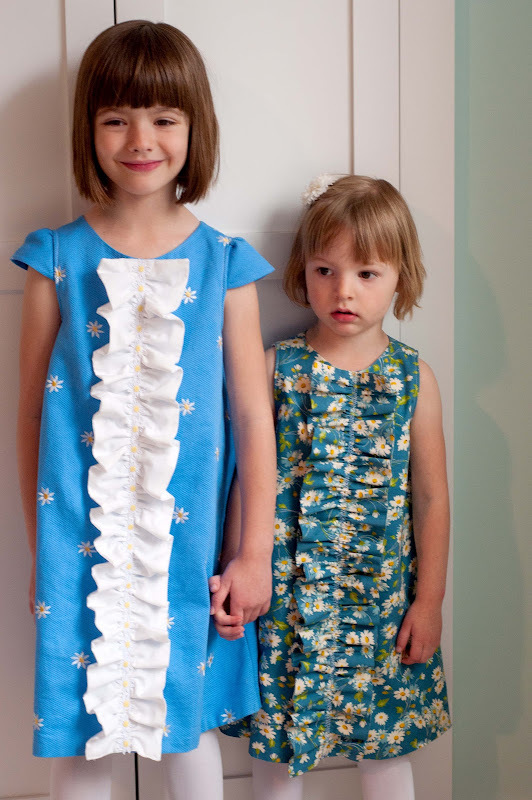 For their Easter dresses this year Audrey and Scarlett wore girl-sized versions of the Ruffled Chemise for Baby I designed for Tess last year. Seems that inspiration and clothing so often goes the other direction--from the older girls to the younger--so it's nice that it was the other way around! Babies first with this one, but now I've got a pattern for girls: The Ruffled Chemise for Girls with sizes 2, 3, 4, 5, 6, 7 and 8! Phew! You should have seen the tissue I went through for drafting and grading. This Chemise has such a classic, simple look, I really think it looks beautiful on girls of all ages. I kept the proportions the same because I love the wide ruffle and good a-line shape. Not skimping on fabric here. 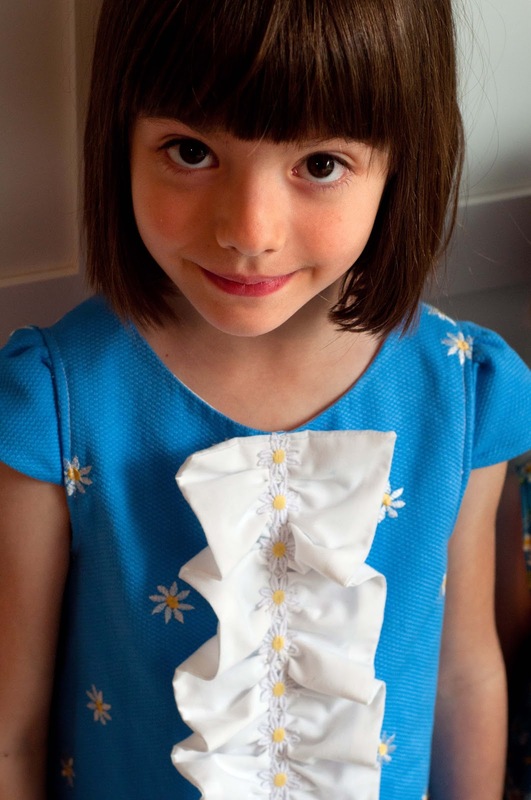 (My mother always used to comment on the difference in the amount of fabric used for purchased girls' dresses vs. handmade--handmade was always more generous, and her preference anyway.) 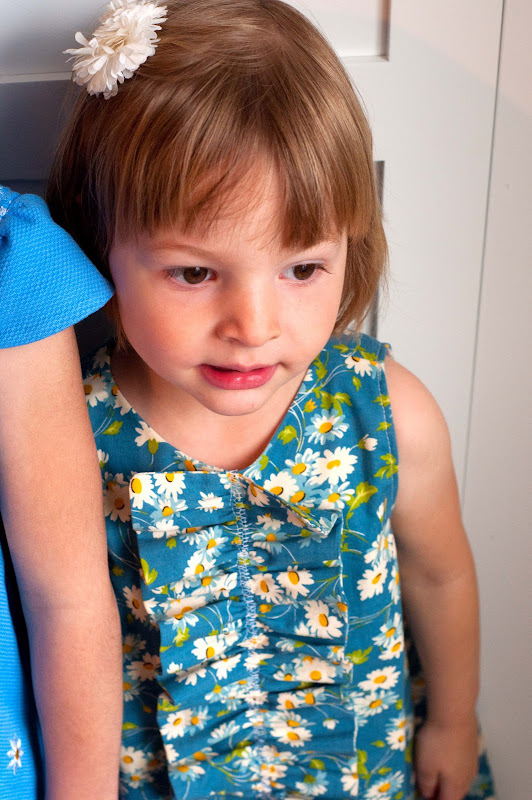 The dress is fully lined for a professional finish and the pattern includes a sleeveless and a cap-sleeved version. With Scarlett's I totally indulged in the main fabric. 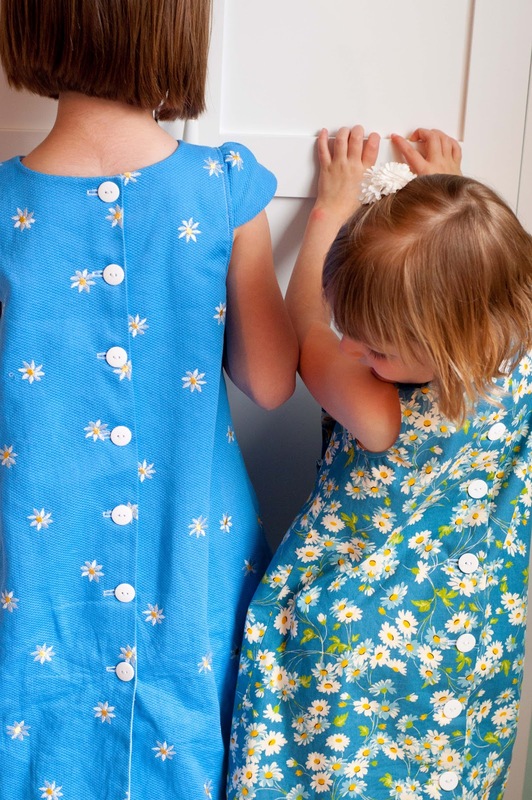 The Ruffled Chemise is hard to beat with the dress and ruffle all in the same fabulous fabric (Scarlett's is made with Daisy Bouquet in Dark Blue, part of the Peas and Carrots American Jane fabric by Sandy Klop for Moda). Maybe it's because it was my original concept. The Ruffle Chemise buttons down the back. As much as this design is all about the ruffle in the front, I still love the detail of those buttons, especially when they pop a bit, such as these in bright white. These were so fun to sew, and I kept thinking of other ideas...I may need to make one to fit Tess this summer. Fun to sew, and the girls liked wearing them too. If you have some girls to sew for and would like to try the Ruffled Chemise you can find the pattern in my Etsy shop right here. Cute ideas! I like the capped sleeves idea that can be so easily added to any jumper pattern. Yes, I do agree, you need to make one for Tess too. Darling! I really like the little sleeves and your buttons (and button holes) are perfect. 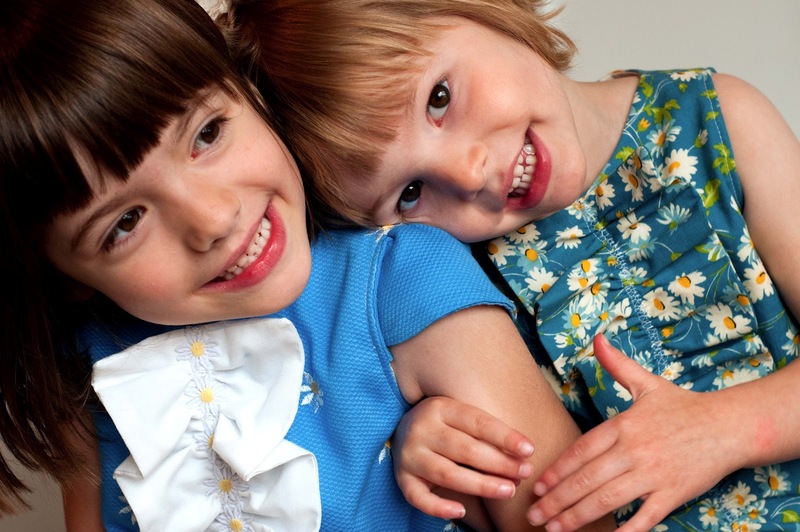 What cute girls, and cute dresses! I love, love Scarlett's fabric.